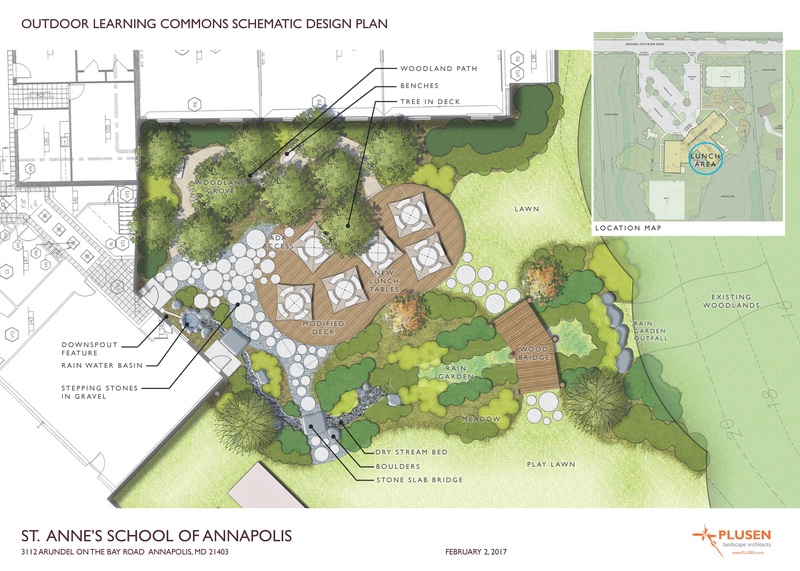 PLUSEN developed an interactive learning environment for the St. Anne’s School of Annapolis. 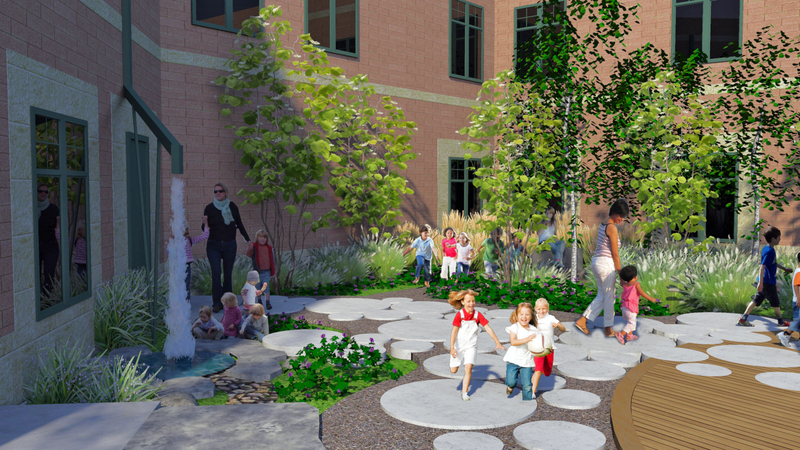 Working with stake holders and the county, PLUSEN incorporated the required storm water management practices with an artistic approach creating a very dynamic and functional outdoor play and learning environment. 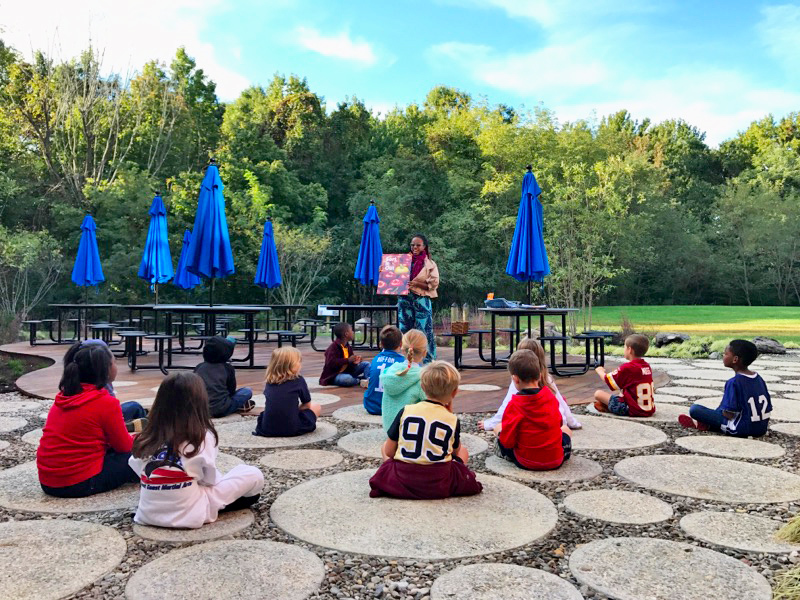 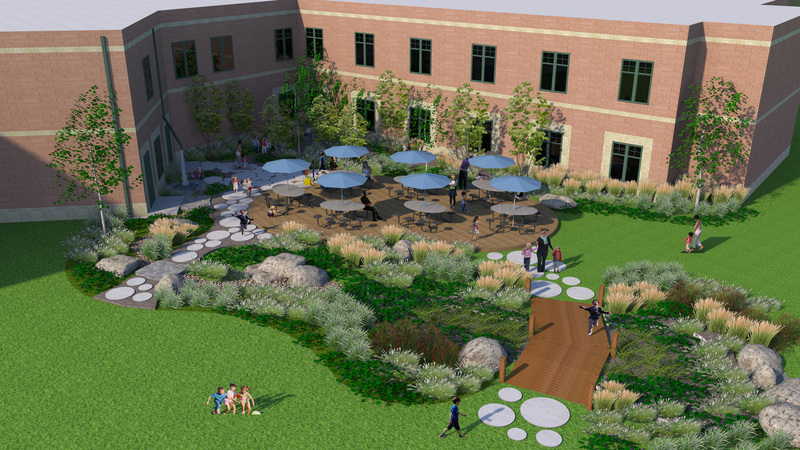 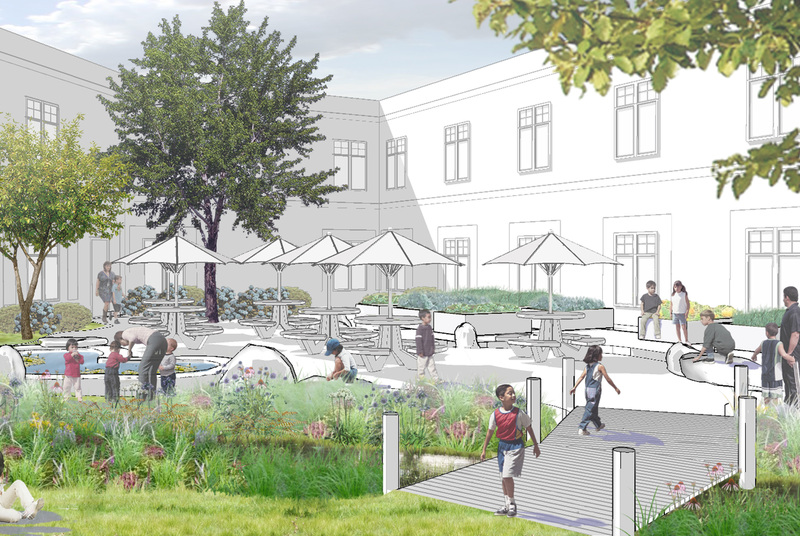 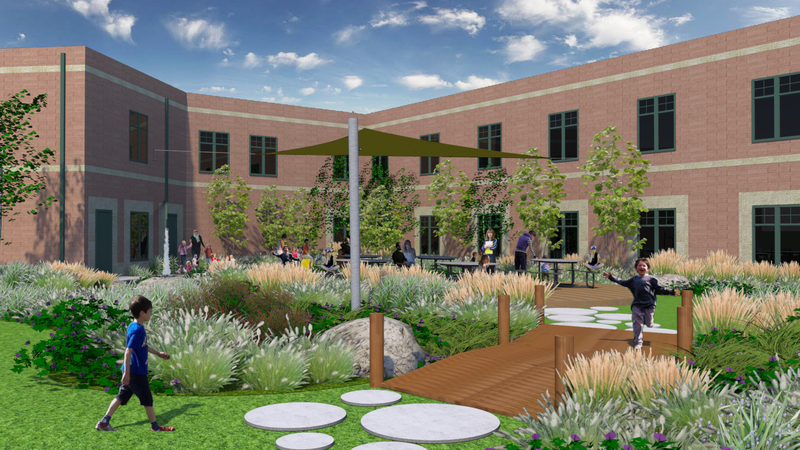 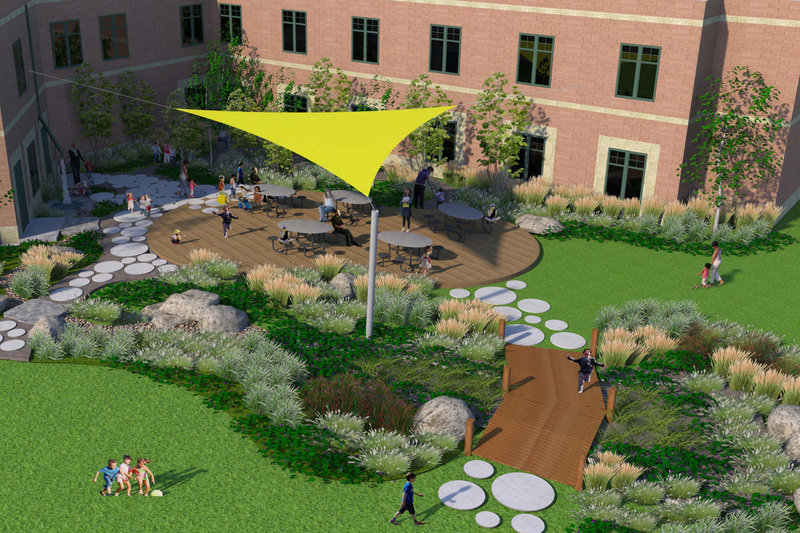 The Outdoor Learning Commons celebrates the movement and bio-retention of rain water with a dry stream bed that feeds into a rain garden that is surrounded with native planting. 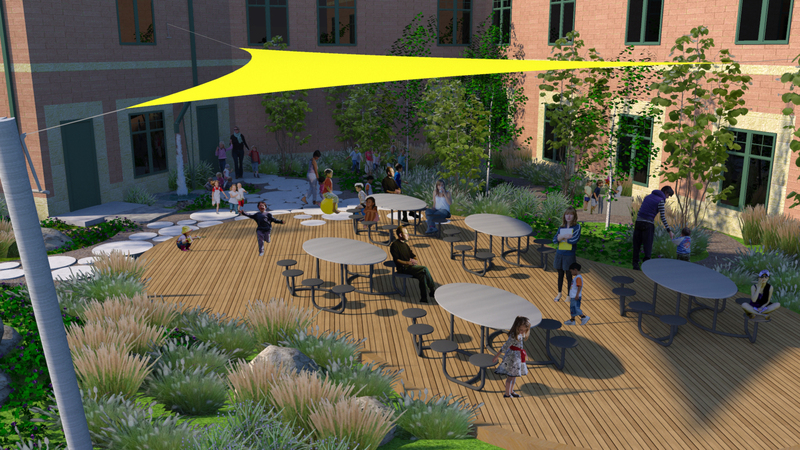 The patterning of rain drops inspired the circular paving and forms of the deck. 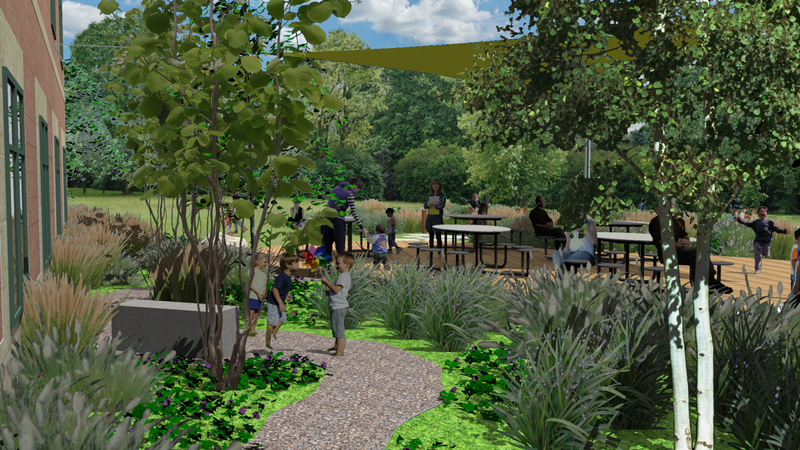 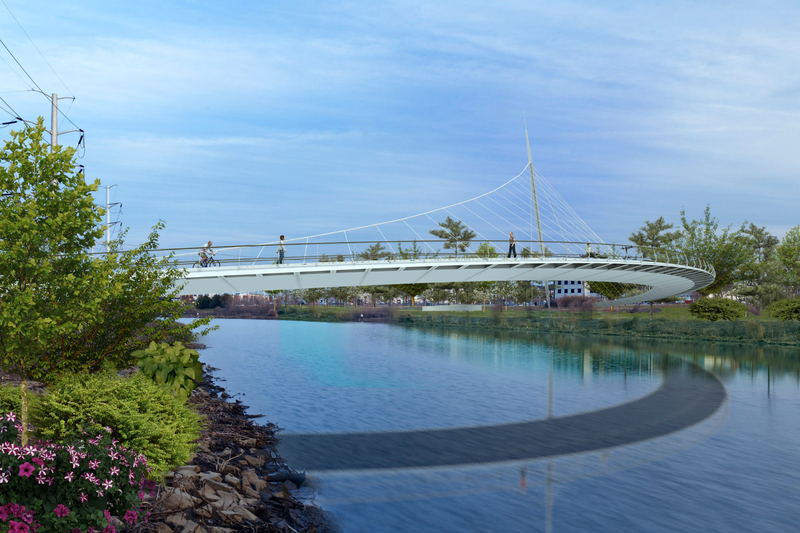 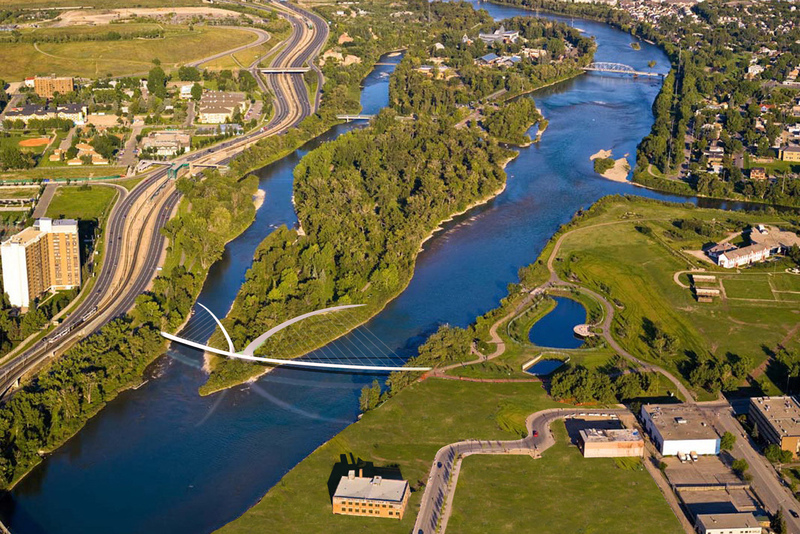 The observation bridge over the rain garden allows the students to immerse themselves in nature while learning about the water cycle and storm water management in an interactive way.